Ryan Van Zandt, a 2008 graduate of Fairfield Ludlowe High School who has a rare form of cancer, is being helped by "Reps for Ryan," a fundraising campaign organized by close friends. Six young men, five of them friends since their days at Fairfield Ludlowe High School, have banded together to raise funds for one of their buddies, Ryan Van Zandt, who has a rare form of cancer. Five members of the Ludlowe Class of 2008 — Zak Mallard, Craig Rittberg, Conor Roach, Will Secchi and Sam Winn, all 25 years old — have formed “Reps for Ryan,” a fundraising group that has raised more than $30,000 so far to help the Van Zandt family with Ryan’s medical bills, to donate money for cancer research, and to spread awareness about the disease. 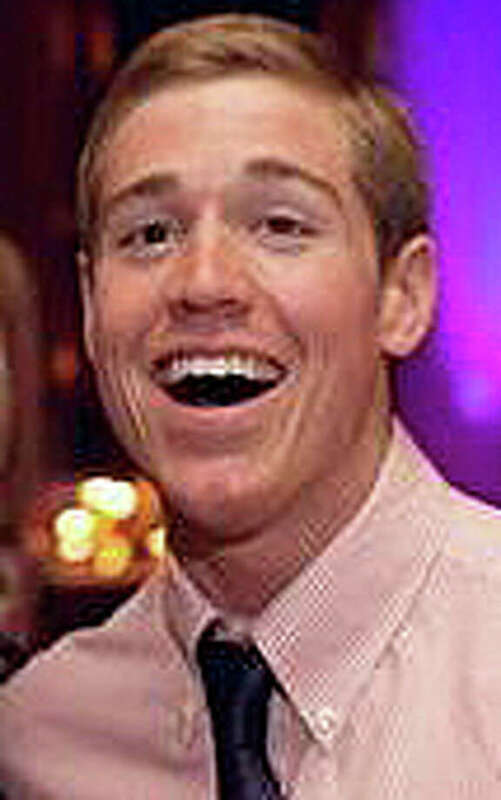 The sixth member of the group is Brett Gaboury, Ryan’s cousin in Arizona. “We thought we should help Ryan and his family since they’d been through so much,” Mallard said. Van Zandt has uveal melanoma, a rare cancer of the eye that can spread to other parts of the body. He was first diagnosed in the summer of 2008 after graduation, and made the decision to have his eye removed to fight the cancer, according to Secchi. After several cancer-free years, he was diagnosed with additional tumors this June, and the friends decided to work together to do what they could to help. “He really wants it to be positive,” Secchi said. “He doesn’t want it to be a pity party.” Van Zandt has insisted that funds the group raises also go to help melanoma research and to organizations that have helped him in his fight against his illness. Four of the members of Reps for Ryan gathered Saturday to explain their organization and their fundraising plans, and to talk about why they are helping their close friend. They are in constant touch with each other and, when possible, with Van Zandt. Currently, he is recovering from surgery to remove a brain tumor. Their web site — www.repsforryan.com — keeps everyone up to date on their fundraising projects. They are selling Reps for Ryan gear, including shirts and wristbands and encouraging everyone to wear them. Every donor of $40 or more will receive a Reps For Ryan workout shirt and wristband. The website also links to www.gofundme.org, the public funding website. On Sunday, gofundme showed Reps for Ryan donations of $28,601 raised from 319 people in one month. Reps for Ryan is also on Facebook, Twitter and Instagram. Future fundraising projects include a golf tournament on Sunday, Sept. 5, at Fairchild Wheeler Golf Course, 2390 Easton Turnpike, and a Tips for Ryan night Thursday, Sept. 3, at BJ Ryan’s restaurant, 57 Main St. in Norwalk, where Secchi is the manager and tends bar. All tips he makes that night will be donated to Reps for Ryan. Secchi also plans to run in the New York Marathon on Nov. 1, and has designated Memorial Sloan Kettering Cancer Center’s melanoma department as his charity. The Reps for Ryan organizers all have been raising money at their jobs, simply by wearing the wristband and explaining their fundraising project. Rittberg works at NYU, Mallard at the Tracy Locke advertising firm in Wilton, and Roach works in finance in Manhattan. “I’ve raised a decent amount of money from my co-workers,” Roach said. His uncle, Danny Roach, the owner of Matty’s Corner bar and grill in Bridgeport, is also holding a fundraising night in September. They all have been hitting up friends and family to raise contributions for the cause. And why are they all still close friends so many years after high school? They all went to different colleges but returned to the Fairfield area and they stay in constant touch via texting. (“We’ve had the longest group text message ever,” since June when they started Reps for Ryan, Rittberg said. The friends also often play golf together — Van Zandt was a member of the Fairfield Ludlowe golf team. And their desire to help their friend was an easy decision after he was diagnosed again with cancer, they said — because everyone loves him. Van Zandt was a familiar sight at the Sunny Daes ice cream shop on Black Rock Turnpike where he worked throughout high school, and popular with the customers, according to Roach. “He has a big personality,” he said of his friend. “Ryan is an inspiration to all. Reps For Ryan is here to promote, encourage and inspire others to always keep fighting, and living the life you love even when the going gets tough: just like Ryan does day in and day out,” the friends say on their web site.